Synergy Marketing Reaches 200 Followers On Twitter! Okay, right off the bat, allow us to state that we know that, in the grand scheme of things, 200 followers on Twitter isn’t all that big a deal. But when you consider that Synergy Marketing has been specializing in providing Canadian business owners with top-of-the-line promotional products long before the days when social media were all the rage, it’s a pretty cool milestone for us. It wasn’t long ago that our Twitter account had no followers at all. This week, we’ve reached 200! What we’re probably the most proud about is the fact that we’ve been building our Twitter following in a tried-and-true old school way. We haven’t used any tricks or gimmicks. Our daily blog posts have helped us to significantly grow the reach of our brand, earn us new customers and grant us much higher website traffic. And, we just so happen to be practicing what we preach, as a number of our past blogs have championed the use of social media to help businesses grow. Are you on Twitter? If so, we’d be most appreciative if you’d join our list of followers! 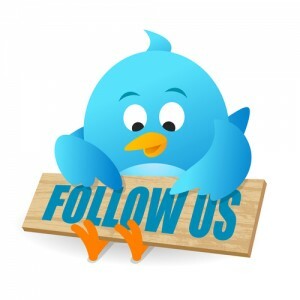 We promise to stick to our mandate of always following back those who follow us. It only makes sense that we do that as, in order to grow within your industry, you need to know what other members of it are up to. This isn’t just something we’ve learned along the way, it’s advice we’ve taken from experts. What are the tangible benefits of using social media to promote your business? If you consider the fact that social media provide us with free ways to learn about what other businesses are up to, you’ll realize that being on social media encourages others to learn what you are up to! Not taking advantage of the Twitters and Facebooks of the world is simply irresponsible. Sorry, but it has to be said. These platforms are incredibly popular – and did we mention FREE? – ways of advertising your brand. This is because social media is all about being social. It should be stressed that in order to truly benefit from social media, your posts should be engaging. Twitter, for example, isn’t a medium that is ideal for straight advertising. Instead, it should be your objective to engage others in conversations with your tweets. This is why nearly every one of our tweets is a question. Each is inevitably answered by our blog posts, which are linked to each tweet. Here’s hoping we’ll reach 300 followers in record time. Follow our Twitter account today! Remember, we’ll follow you back right away! Comments Off on Synergy Marketing Reaches 200 Followers On Twitter!